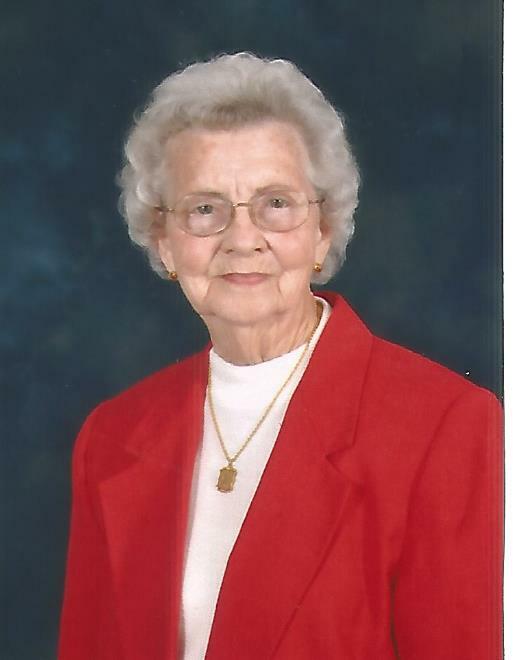 Nellie Lee Castles Rutland, 95, of Winnsboro passed away on Saturday, March 23, 2019. Born in Fairfield County, she was the daughter of the late Herbert Lee and Nellie Marie Watts Castles. She is survived by three daughters, Marie R. Eargle (Charles), Judy R. Craig, and Annette R. Booth (David); six grandchildren, five great grandchildren; and many loving nieces and nephews. In addition to her parents and husband, Clyde Woodward Rutland, Nellie Lee is predeceased by two brothers, Samuel L. Castles and Henry W. Castles; two sisters, Leila C. Phillips and Elizabeth C. Shull; and a grandson, Charles Eargle, Jr.
Nellie Lee was a preschool teacher for many years. She was an active volunteer with Lexington Medical Center for 20 years and also enjoyed the many activities Lexington Medical Center provided for their volunteers. Graveside services will be held at 2 o’clock PM Monday, March 25, 2019 at Greenbrier United Methodist Church Cemetery, 681 Greenbrier Mossydale Road, Winnsboro, SC 29180 conducted by Reverend Dr. William E. White. The family will receive friends after the service in the church fellowship hall. In lieu of flowers, memorials may be made to the Greenbrier United Methodist Church Cemetery Fund, 2199 Rion Road, Winnsboro, SC 29180. Pope Funeral Home is assisting the Rutland family.